Sunrisers Hyderabad vs Royal Challengers Bangalore, 11th Match, Rajiv Gandhi International Stadium, Hyderabad Date & Time: Mar 31, 10:30 AM GMT and 04:00 PM LOCAL. In the last two games Sunrisers Hyderabad’s bowling facing some stickness, they should keep focus on having a better spin option in place of Shahbaz Nadeem. The SRH Match With RCB expected to play four left-handers in the top 7, the hosts might be tempted to bring in Mohammad Nabi. Jonny Bairstow looking good at the top of the order of SRH, it will be a tough call for the team management to make it out. RCB may tweak their batting line-up, but there is no change in the XI as it should be the same. Vivo IPL 2019 SRH vs RCB 11th Match Cricket News Updates. 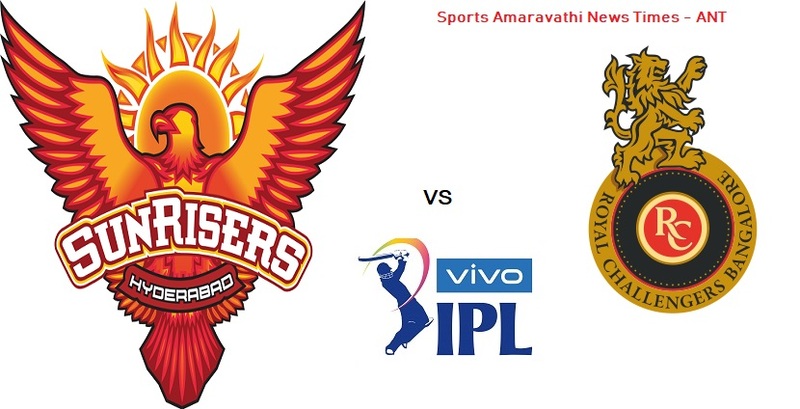 Vivo IPL 2019 | Sunrisers Hyderabad(SRH) vs Royal Challengers Bangalore(RCB) 11th Match Cricket News Updates | Indian Premier League 2019.